I bought this one years ago and finally got around to reading it... 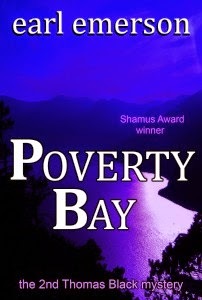 I got the original paperback copy but it is available for Kindle now as well. Thomas Black is hired to find the son of an old racist who has inherited a lot of money. It is obvious the father is more interested in the money than the kid. Thomas discovers the son had a relationship with a beautiful black woman and had been living among the homeless for a long time. As he delves deeper into the young man's life he encounters some dangerous people that want the money and gets closer to his friend, Kathy. An enjoyable, well write, slightly standard PI novel. It was first published in 1985, a time where a lot of good PI novels were published. What makes this one rise out above the competition is the many interesting characters that are far from the usual stereotypes we often meet in these kind of books. 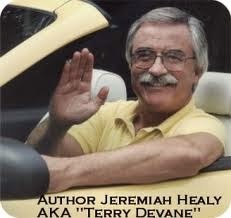 Like many other writers I was shocked to learn Jeremiah Healy passed away recently. I loved his work, having picked up the first John Francis Cuddy books because I had read most Spenser books and was looking for something similar. Of course, besides the Boston PI thing there's little they really had in common. The Cuddy books had their own style and Cuddy wasn't the superman Spenser was. So sad that now both Robert B. Parker and Jeremiah Healy have passed away. "J. Vandersteen takes us back to the glory days of pulp fiction. And I mean the genre, NOT the movie. His Noah Milano character rings completely true as a tough, lone-wolf private." That goes to show you what a wonderful man he was and how friendly he was to his fellow writers, always ready to help them along. He will be missed by readers, writer and family. 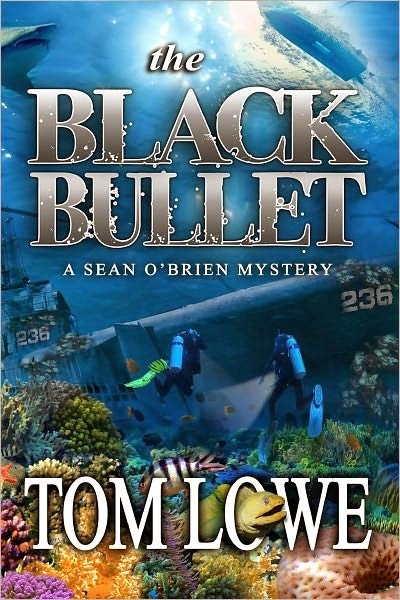 Tom Lowe's Sean O'Brien goes Jack Reacher style in this one. It shows how versatile a character O'Brien is, working in more standard PI mysteries as well as more thriller oriented stories as this one. That's because he's got a background as a cop AND a Special Forces guy, so he's got the skills to investigate a murder AND fight terrorists. During a fishing trip O'Brien discovers a downed submarine and material for a dirty bomb. When it becomes national news he's contacted by the granddaughter of a man who got killed sixty-seven years ago. It turns out the submarine and the murder are connected. O'Brien has to fight Russian mobsters and terrorists for the uranium and uncover the mystery behind the 67 year old murder, dealing with all kinds of agencies. There's a lot of action in this book. I usually have a hard time with big budget action flicks style action in books because they're hard to read, but Tom pulls it of. Looking forward to more of O'Brien, in many ways the ultimate series protagonist. He's got everything a hardboiled hero needs. 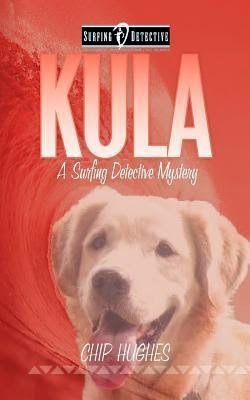 Kai Cooke is a pretty laidback PI in the Hawaiian islands who's also known as the Surfing Detective because he loves spending time on the board. When he's hired by a wealthy guy to track down his dog he's intrigued that his client's wife is also missing. During his investigation he enlists the aid of an old friend, who is an actual pet detective, but a hell of a lot tougher than Ace Ventura. Together they search for the dog and uncover the secrets of Cooke's client and encounter how cruel man can be to animal. On the private side Kai is dating a married woman and he's not sure how he feels about that, maybe his old friend the pet detective is a better match for him? I thought the start was a bit slow, but in the second half of the novel the pace picks up pretty good. Kai is a relaxed and nice guy in the Elvis Cole / Rush McKenzie mold that I like so much. I was also intrigued by his relationship with a married woman, something the nicer PI's usually aren't involved with. 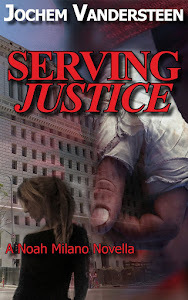 I also noted that there was some violence in the book but it was never described in bone-crunching detail which makes this book lean a bit towards softboiled, and will make it a great read for cozy lovers as well as the hardboiled fan.